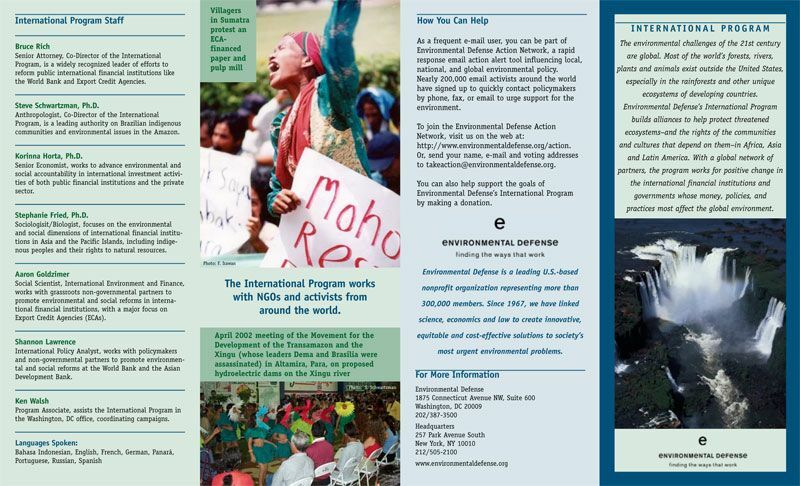 This quadfold brochure was developed to be an informative piece about the International Program at Environmental Defense Fund. 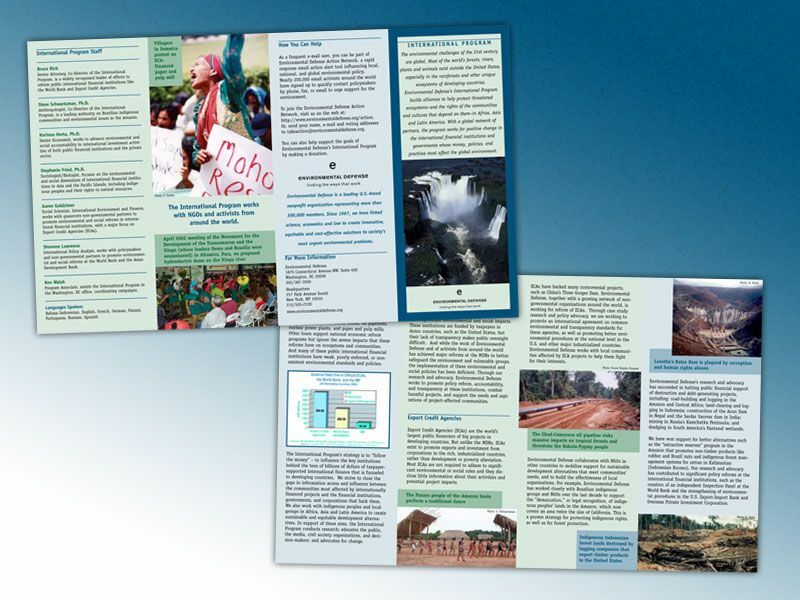 They originally wanted to do a trifold, but simply had too much information. 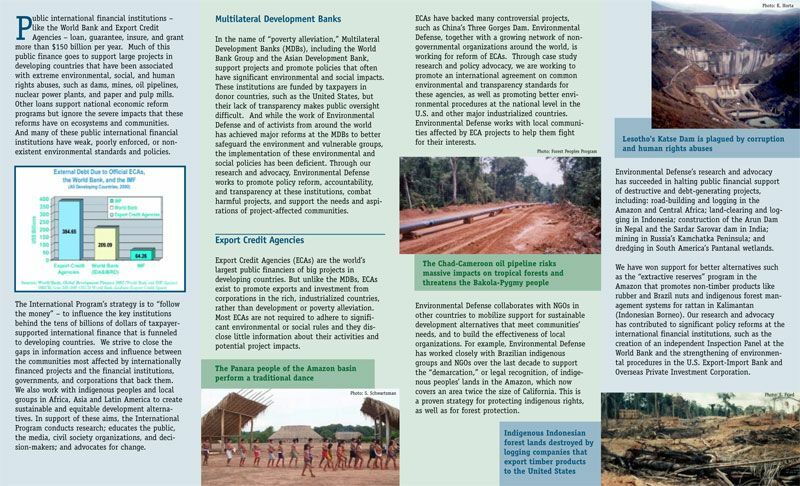 We transformed it into a quadfold which gave us a better structure to work in the heavy text as well as some design elements and imagery, while retaining the same size paper. Responsible printing was also important and 100% recycled paper was sourced for the printing of this piece.